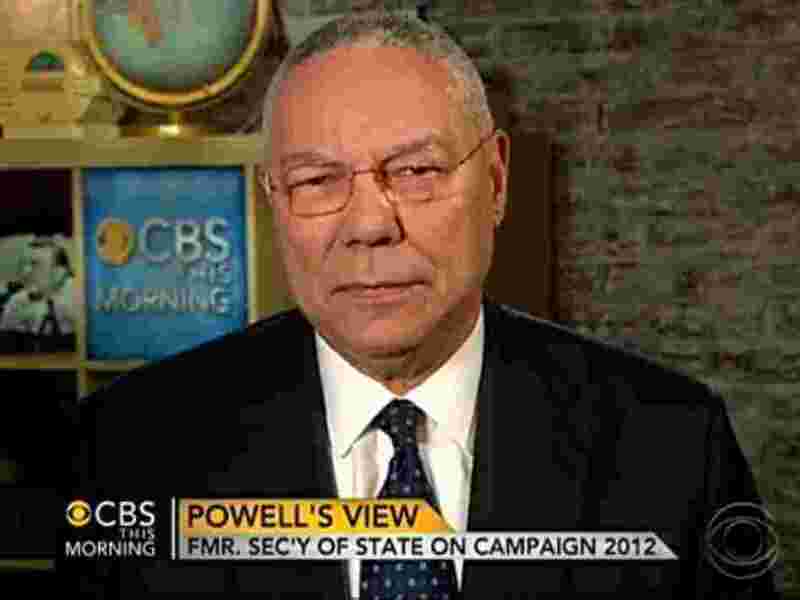 Former Secretary of State, Gen. Colin Powell, endorsed President Obama’s reelection today. From what I can see, former National Review columnist Chris Buckley has not issued an official 2012 endorsement but has said he has seen no reason to change his 2008 endorsement of Obama. I don’t know if former Bush spokesman Scott McClellan will repeat his Obama endorsement. The only prominent Republican I know of who endorsed Obama in 2008 and has publicly switched his position is former Massachusetts Governor Bill Weld. Former Senator and Governor Lowell Weicker has also re-endorsed the President. Now, Weicker, Crist and Chaffee officially left the GOP over its extreme rightward drift, but they have not become Democrats. I added links. Interesting. Dear Reader, do you know of others?